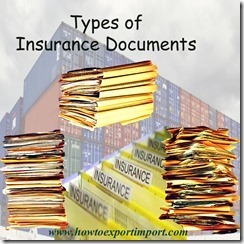 How many types of Insurance documents are there? When to insure export import cargo? What are the reasons to insure import export cargo? How to insure export cargo? (a) Insurance Policy: The insurance policy sets out all the terms and conditions of the contract between the insurer and insured. (b) Certificate of Insurance: It is an evidence of insurance but does not set out the terms and conditions of insurance. It is also known as ‘Cover Note’. (c) Insurance Broker’s Note: It indicates insurance has been made pending issuance of policy or certificate. However, it is not considered to be evidence of contract of insurance. (A) Importers insurance may be inadequate. (B) In case of insolvency of the importer, claim amount may go to the benefit of the importers creditors and exporter would not receive the payment. (C) Foreign exchange problems could complicate the remittance of insurance claim amount to the exporter. (a) Exporter enjoys automatic and continuous protection. Even if there is delay in declaration or exporter has overlooked to submit declaration, the shipment is covered provided the delay and oversight are not intentional. (b) Trouble of taking insurance policy, each time, is avoided. (c) Exporter will have prior knowledge of the premium amount and so exporter can quote competitive rate for this exports. (d) Better relationship between the exporter and insurance company will be developed, so better advice would be available. 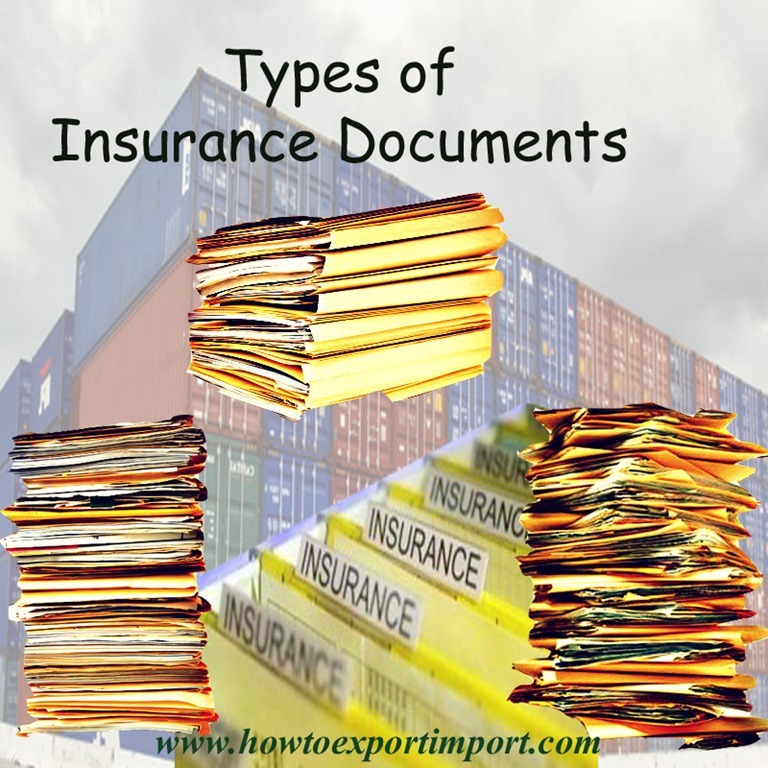 As the insurance company understands the requirements in a better way, the insurance company can develop tailor-made protection to the exporter. Yatin Sawant: On 25 October 2013 Thanks! I have lot of information from this site, which I don't know. I am very new Export Field. Will use major information in future. kamlesh: On 10 November 2013 my party is asking for insurance in the name of importer. I.E. insured should be the buyer. Is that possible as the policy is transferable and payable in importers country. Surendran Kollerath: On 08 March 2014 Hi Kamlesh, As per my knowledge, it is possible depends up on terms of delivery of goods. Pankaj Kumawat : On 27 July 2014 Hole information regarding insurance and other is very importent for me as a new exporter keep sending this type of articals. prashant kulkarni: On 20 August 2014 Thanks for all this information. its very important to me for my job profile. Nasir: On 10 February 2015 who will bear insurance if terms is FOB,CFR,FAS? syamala: On 15 December 2015 Excellent article Useful for beginners.